A magnificent gemstone, the blue sapphire is most known and popular for its blue color. From purplish blue to a vivid dark blue reminding of the evening sky. Other sapphire colors such as yellow sapphire, pink sapphire and black sapphire have been increasing in popularity in the last years. Sapphires have captivated their audience for centuries. With the recent high quality finds the sapphire is likely to keep its rightful place among the most valued gemstones. 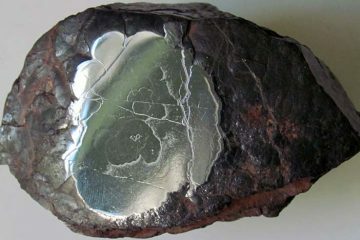 A gemstone quality variety of the mineral corundum, an aluminium oxide. All colors of this mineral are called sapphires, except if the color is red or a very dark pink these are called rubies. Depending on the trace elements in the corundum the color can change from a white sapphire to blue, purple, orange, pink, green or black. Star sapphires is a rare type of sapphire that shows a six-rayed star effect when viewed from above with a single source of light. This phenomena is caused by intersecting needle-like inclusions. 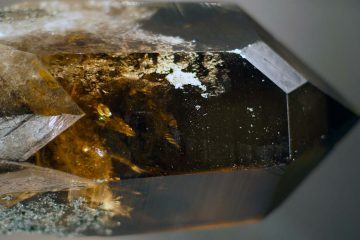 Most of often in the form of the mineral rutile. The most famous of these star sapphires is the 732-carat ‘Black Star of Queensland’ that was discovered in Australia in the 1930s. Rumour has it that it is on sale again for at least $88 million! Attraction of divine favour and protection of evil was attributed to this blue gem. Many religions and cults dedicated the blue sapphire to their gods. The Greeks to the god Zeus while it was considered the most appropriate color for jewelry in the catholic church. 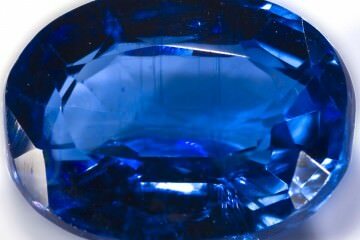 Most of today’s sapphires come from Sri Lanka while Kashmir sapphire is found on the border of Pakistan and Afghanistan. Recently though there have been a few promising discoveries in Madagaskar, Brazil, Tanzania and the US. These new finds will most likely be enough to fuel the gem trade of sapphires for a long time to come. Sapphire gemstones are extremely durable, their hardness is only second to diamonds with a 9.0 on Mohs hardness scale and with a crystal structure that is highly resistant to breaking. This means that this gemstone can easily be worn every day of the week. Though the jewelry itself may not be as durable as the gemstone. Cleaning your sapphire is fairly simple as well. You can use warm water and soap. Do not use moisturizers or abrasives as this can damage your sapphire ring, though usually not the stone itself. Rinse it well and dry it using a soft cloth. When you have a silver ring normal detergents should not be used as silver can react poorly to them. 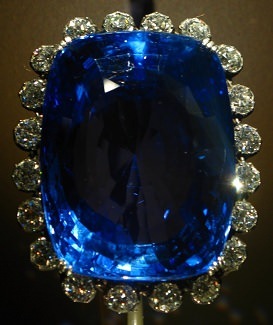 The most important factor for a blue sapphire is its color. The more intense the blue color the higher the value. Clarity is the second value factor, a high quality sapphire should be eye-clean. This means that you should not be able to see any inclusions with the naked eye. Almost all blue sapphires are heat-treated today. When dealing with lower qualities this makes no difference in the price. However when dealing with high quality gems an untreated gemstone can be up to two times more expensive than a similar treated gemstone. Other treatments that are not generally accepted, and luckily quite uncommon, are oiling and dyeing. When dealing with expensive stones you should always get your stone certified by a reputable gemological institute such as the GIA. More information on certification and other more general tips can be found in the Guide to Buying Gemstones Online. Synthetic sapphires are available on the market for prices far below those of natural sapphires. When you are on holiday in a gemstone-producing country and you are offered a (raw) sapphire for what seems to be a steal, it is almost guaranteed that you are dealing with either a synthetic stone or a cheaper stone. 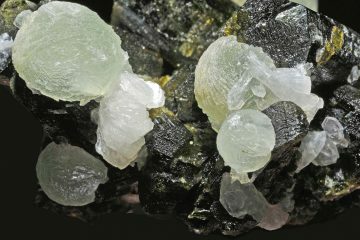 When you buy gemstones online I would only deal with larger sites that have a good reputation. Unfortunately natural sapphires are very expensive. Keep that in mind when you see lower priced sapphire jewelry. The lower the price, the more likely it is either treated or lab-created. This should be disclosed in the description, so be sure to keep an eye out for that.